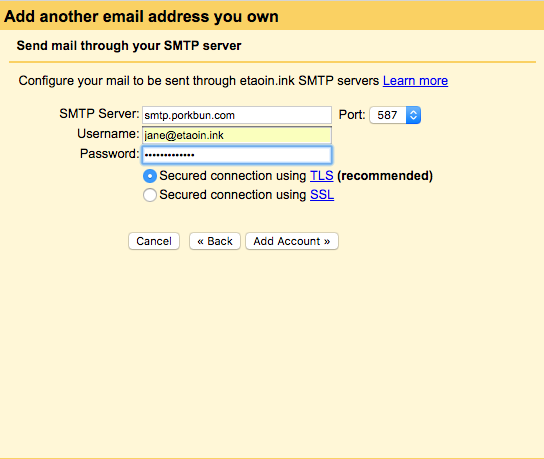 Want to be able to send and receive as your Porkbun-hosted email address without having to leave Gmail? Not a problem! Open Gmail. In the upper-right corner, click "Settings." On the settings screen, click the “Accounts and Import” tab. Scroll down to the section labeled "Check mail from other accounts:" and click "Add a mail account." 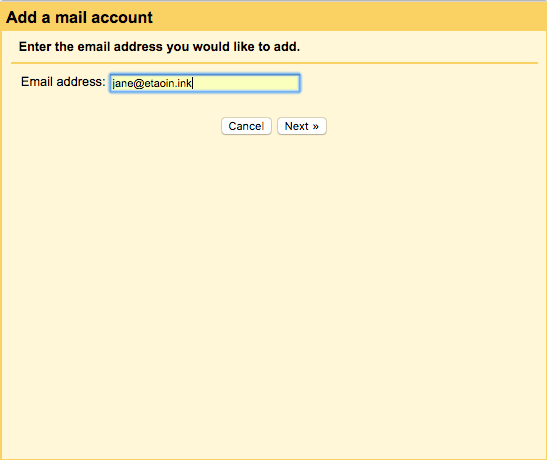 On the first "Add a mail account" screen, enter your new email address and hit "Next." 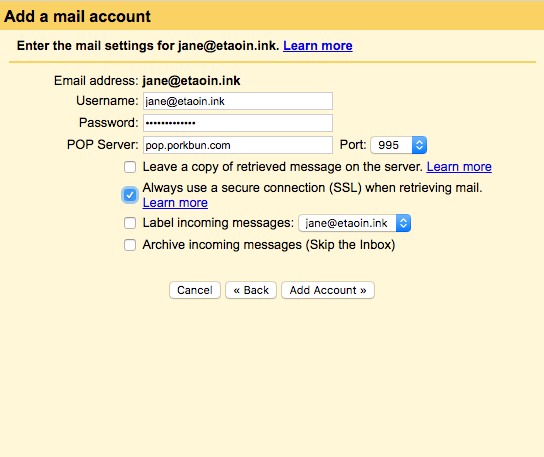 On the next screen, select "Import emails from my other account (POP3)" and click "Next." Username is your full email address (not just the part before the @ symbol). Password is the password you entered when setting up the email address. Optionally, click "Label incoming messages" if you wish to clearly identify from your inbox messages sent to your custom address. Click "Add Account." From now on, Gmail will automatically download any message sent your custom address into your Gmail inbox. 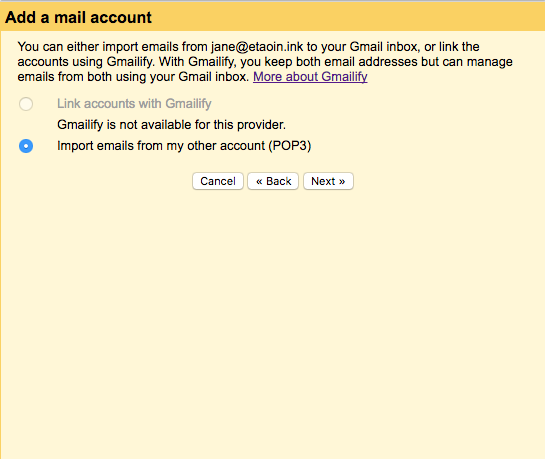 Next, configure Gmail to be able to send as your custom email address. 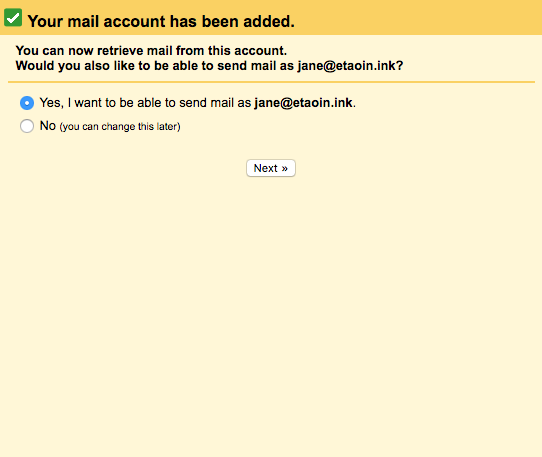 Select "Yes, I want to be able to send mail as... and hit "Next." On the next screen, Provide the name that will show when email is sent from this address. Your first and last name or your business name are good values for this field. “Treat as an alias.” should be checked. Click "Next Step." Password is the password you entered for that email account. 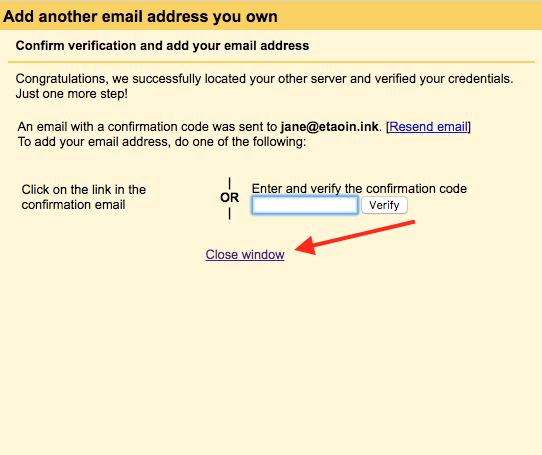 You should arrive at a page that reads: "Confirm verification and add your email address." Click the link that reads "Close Window. Check your Gmail inbox. 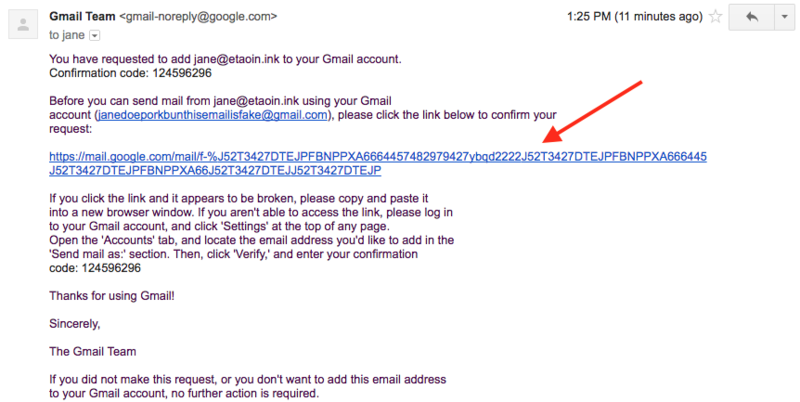 A confirmation message from "Gmail Team" should arrive within a few minutes. Open the message and click the the link that follows the phrase: "Click the link below to confirm your request:"
On the page that appears, click "Confirm." You are now authorized to send email from your custom address. Now that you've added your custom address to your Gmail account, when you compose an email in Gmail there will a new field, "From" with a drop-down list next to it. 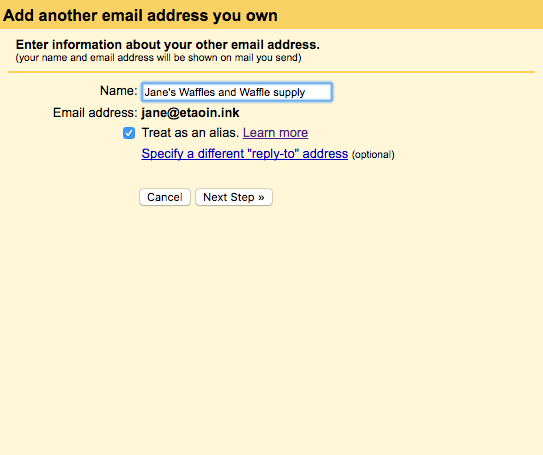 Your new email address will appear in the drop-down list; selecting the new address will send the message from it. 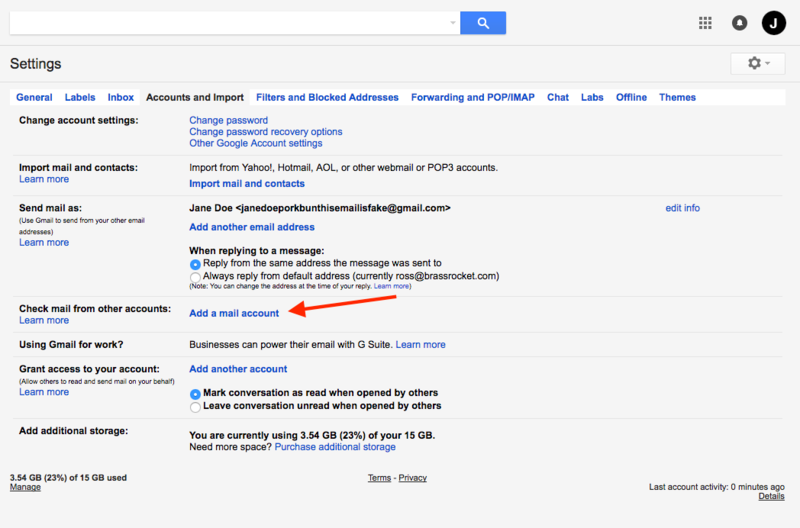 To always reply as the correct address, you'll need to make a change to your Gmail settings. 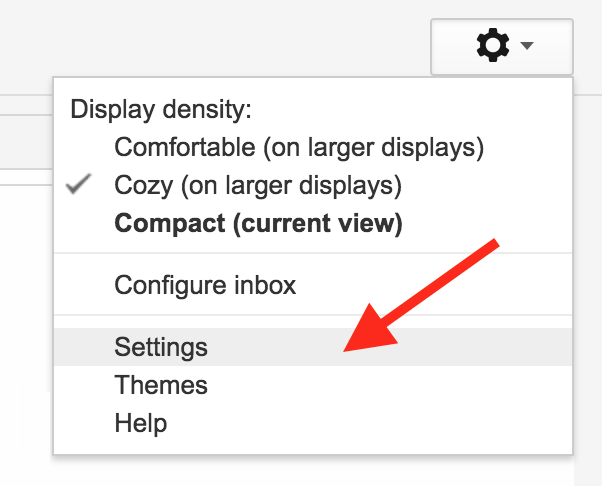 Under Gmail Settings, click the "Account and Import" tab. 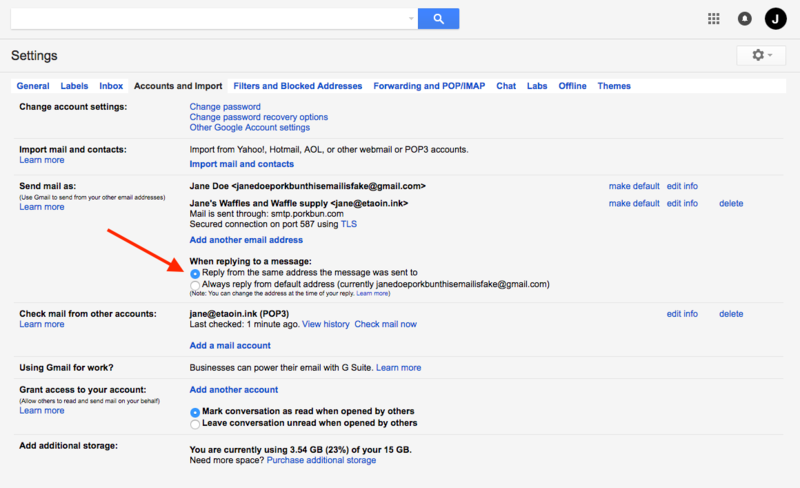 Under the "Send mail as" area, find the "When replying to a message:" section. Select "Reply from the same address the message was sent to."